Israeli Scout Movement holds memorial service for American student killed in a terror attack in Tel Aviv. 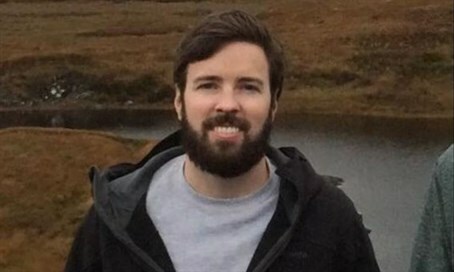 TEL AVIV (JTA) -- The Israeli Scout Movement held a memorial service for Taylor Force, the American graduate student killed in a terror attack in Tel Aviv. The event Thursday marked 30 days -- the shloshim mourning period in Judaism -- since the March 8 death of Force, an MBA student at Vanderbilt University who was on a school trip to Israel to learn about the high-tech industry when he was killed. As many as 10 people were wounded in the stabbing attack, including Force’s wife, at and near the Jaffa Port. Force was an Eagle Scout with the Boy Scouts of America. At the ceremony, held near the site of his death, he was posthumously awarded with an Israeli Scout uniform and Badge of Honor. William Grant, deputy chief of mission at the U.S. Embassy in Israel, also attended the ceremony, which was co-organized by The Israel Project. Force was a 2009 graduate of the West Point U.S. Military Academy and saw tours of duty in Afghanistan and Iraq.